How well did you find your way around 1974 Chicago? 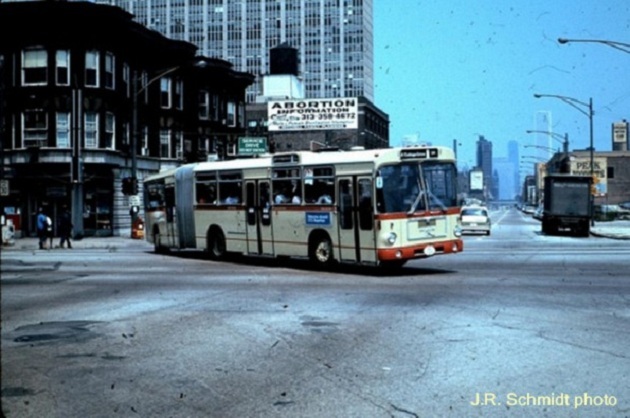 The area around Indiana and Cermak has changed much in 38 years, and CTA Route #4 no longer operates here. However, the Standard Oil Building (now the Aon Center) is visible to the north in the 1974 photo. As a bonus I&apos;m including a 1952 photo of the same site. The streetcar is making a soft-left turn onto Cottage Grove Avenue, which cut through on an angle from 35th Street to this intersection. In the years since, most of this portion of Cottage Grove has been closed and built over. 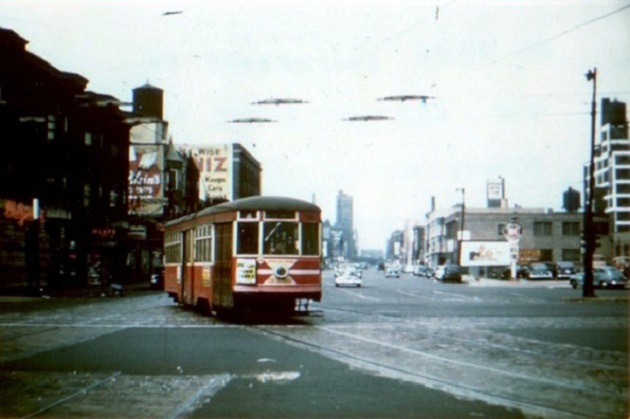 When I took the 1974 photo, I attempted to match it to this one--never dreaming how I&apos;d be using three pictures of Indiana-Cermak in the far-off year 2012.